(A) an architecture vision, and go through the series of processes to thoroughly define. 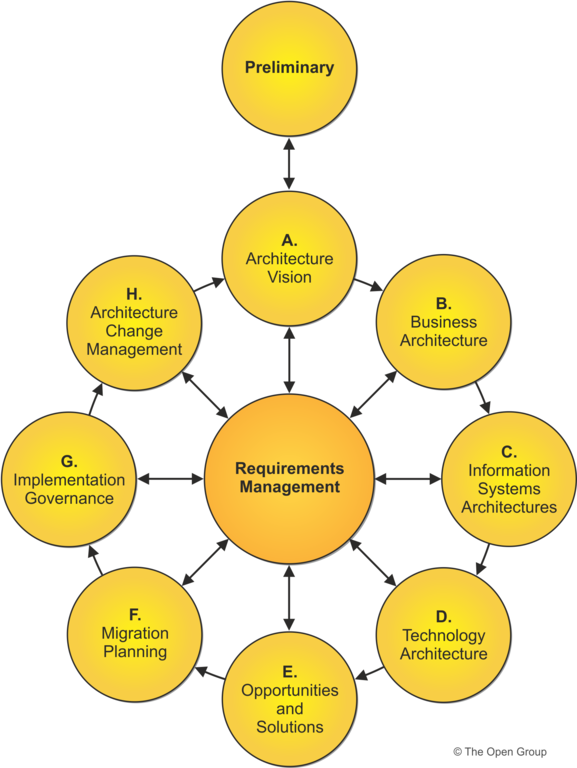 (B) the business architecture; the business process and organisation structure, roles and responsibilities. (C) the information system, data and application architecture; the data model, domains and applications involved. (D) the technology architecture; the technology choice, development methodology. A few of these so call "strategies" may form to deliver the overall architecture vision. Once the strategies ha been defined, wider engagement with IT program managers, solution architects, development managers are required to identity solutions and opportunities and come up with a plan to implement these strategies. Plans should be fed back to create a strategy roadmap so that everyone in the organisation will have a clearly defined direction to move ahead with. Obviously plan can change and decisions will be made based on the market conditions, the economics of the solution, but the directions and the vision should not. Published at DZone with permission of Ed Lee . See the original article here.